STEVEN FURTICK is the New York Times best-selling author of Sun Stand Still, Greater, Crash the Chatterbox, and (Un)Qualified. He is also the founder and lead pastor of Elevation Church, based in Charlotte, North Carolina, which since its founding in 2006, has grown to multiple locations across several states. He preaches around the world and holds a Master of Divinity degree from Southern Baptist Theological Seminary. Steven and his wife, Holly, have three children. Follow him on social media @StevenFurtick. "Furtick's writing is approachable and accessible, but also offers deep insight into Scriptural truths. 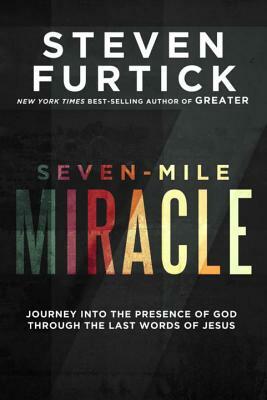 Whether you're looking for a compelling Easter read or want to grow richer in your faith at any time, the Seven-Mile Miracle is a journey worth taking."